Plans for a new regional treatment centre for youth was announced by Fraser Health Thursday, with supports like one-on-one counselling, recreation and life skills training. Fraser Health plans to open the “first-of-its-kind” facility exclusively aimed at youth 13 to 18 years old, with a 20-bed centre that will be built in Chilliwack at 45456 Yale Rd. The regional residential facility will serve youth from throughout the Fraser Health region, with treatment programs tailored to meet their specific needs. Preventing overdose fatalities is part of the goal. The B.C. government committed $3.7 million f0r both 2018-19 and 2019-20 to ensure the sustainability of what it describes as “an important regional residential treatment facility” and to provide community-based supports. BC Housing invested $1.76 million to purchase the site and will fund construction costs, which have not yet been determined. Programs will include comprehensive assessment, treatment and recovery for up to six months. • One-on-one and group counselling to work through relationship concerns. • Recreational activities to help connect patients to nature, including on-site green space to accommodate sports such as volleyball, as well as off-site activities such as hiking, swimming and rock-climbing. • A safe space to explore a patient’s cultural and spiritual beliefs to support their recovery and mental wellness, including collaboration with local First Nations for optional cultural learning activities. • Training programs, such as continuing education, cooking and skills training, along with volunteer opportunities to support young people in preparing for the future when they are on the road to recovery. “Addressing a severe addiction is a challenge for a person of any age, and this new facility will immerse young people who are struggling with problematic substance use in an environment that will provide them with the best opportunity for success,” said Fraser Health president and CEO Michael Marchbank. The facility is for young people who have been unsuccessful in outpatient or day treatment settings, and instead who may do better with a holistic approach to tackle to roots of why they consume substances, and provide positive outlets that can contribute to their recovery. It is a team-based approach they’ll use with residential addictions workers, clinical counsellors, nurses, a recreation lead and others. They’ll work with youth to develop individualized growth plans to address their addiction and mental health, while developing the skills necessary to maintain wellness. Support is going to be key. Staff will also work with community-based teams to ensure youth are well supported prior to treatment, and upon their return to the community. Fraser Health has contracted the Pacific Community Resources Society to operate the facility, who will work closely with Fraser Health mental-health and substance-use professionals in supporting the unique needs of each patient. Funding for the construction of the facility has been provided by BC Housing, while Fraser Health covers the operational costs. Construction of the centre is scheduled to be complete in spring 2019. 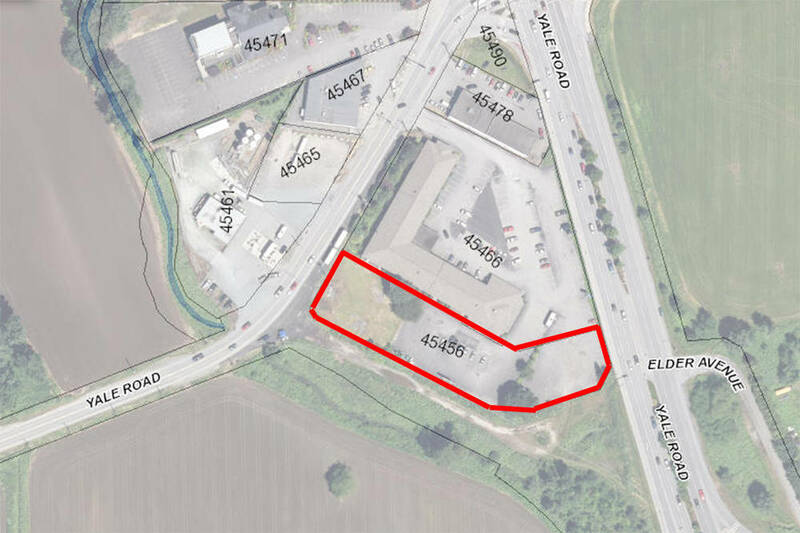 A rezoning for the property will be submitted to the City of Chilliwack for approval. The youth residential treatment facility is part of Fraser Health’s multi-faceted strategy to address the overdose emergency in the region, which also includes prevention, early intervention, harm reduction and treatment. This strategy supports the work of the Ministry of Mental Health and Addictions (MMHA) to take action to save lives, end stigma, and improve access to treatment and recovery. Through the development of a comprehensive mental-health and addictions strategy, MMHA is working to develop a better pathway forward to solve the overdose crisis and better serve British Columbians with a system of mental-health and addictions care focused on prevention, early intervention, treatment and recovery.